When you pursue your education online with Trident, you’ll have access to an array of student services in the Career Advising and Development Center. When you pursue your education online with Trident, you’ll have access to an array of student services in the Center for Career Planning and Workforce Strategies. Many of these resources are accessible 24 hours a day, seven days a week through My Career Center on our student portal. My Career Center is a password-protected, virtual career center designed to assist students and alumni in career readiness – assessment, job exploration and professional development. My Career Center works to connect students with companies offering employment opportunities. The virtual center hosts a job posting and interview scheduling system. Employers use the system to post jobs, view resumes and setup virtual interviews. Students can use My Career Center to apply for jobs and schedule interviews. Network and build connections with potential employers. Gain experience that will help you transition into a new field. Our Career Advisors provide mock interviews and one-on-one resume critiques. Appointments can be scheduled on My Career Center. Trident University has thousands of graduates. Many of them want to give back, share their own unique experiences and “pay it forward” by connecting with current students. The virtual Career Advising and Development Center and our Alumni Association have partnered to facilitate a Mentor Matching service that connects Trident graduates with current students in a mentoring relationship. Use My Career Center to connect with alumni who will inspire, motivate and inform your career entry, transition or advancement journey! For more information email or call us at 714-816-0366 Ext.1943. All veteran or active duty members of the military are eligible for a reduced VA tuition. Trident is proud to provide a special Veteran Education Grant for retirees and veterans of the armed forces. 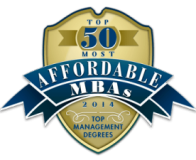 Trident’s Online MBA Program is “Top Ranked” in Country. Trident University’s Online MBA program is ranked among the top schools in the country by GraduatePrograms.com. 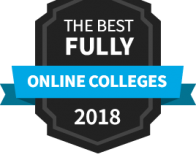 This is an overall rating of the graduate experience at each college or university. It is based on cumulative student ratings of individual graduate programs within each school. Students evaluate their experiences based on a variety of academic and social criteria.